Sassafras Oil Overdose is the accidental or intentional intake of the compound in dosage higher than recommended values. What is Sassafras Oil Overdose? What are the Causes of Sassafras Oil Overdose? Note: The compound can interact with other prescribed or non-prescribed medications in the body. Such interactions may enhance the therapeutic effects of the compound or other medications being taken, resulting in undesired side effects (such as an overdose). What are the Signs and Symptoms of Sassafras Oil Overdose? The signs and symptoms of Sassafras Oil Overdose can vary from one individual to another. It may be mild in some and severe in others. Several systems of the body, such as the digestive system, nervous system, vascular system, respiratory system, and skin may be affected. How is First Aid administered for Sassafras Oil Overdose? Who should administer First Aid for Sassafras Oil Overdose? 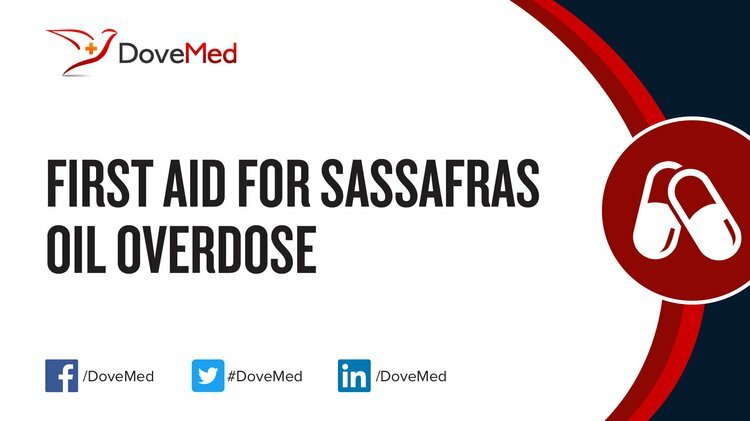 First aid for Sassafras Oil Overdose is administered by healthcare professionals. What is the Prognosis of Sassafras Oil Overdose? How can Sassafras Oil Overdose be Prevented? Russell, M. (1999). 10. TOXICOLOGY OF TEA TREE OIL. TEA TREE, 191. Harris, L. Using Essential Oils Safely. Aladekoyi, G., & Orungbemi, O. O. (2016). Comparative studies of physico-chemical composition and antibacterial activities of essential oil extracted from medicinal plants of scent leaves (Ocimum basilicum Lamiaceae and Ocimum gratissimum Lamiaceae). Boyd, T., Kennedy, S., Patel, M., Gatzemeyer, J., & Jimenez, E. (2013). U.S. Patent No. 8,506,196. Washington, DC: U.S. Patent and Trademark Office. Dunning, T. (2013). Aromatherapy: overview, safety and quality issues. OA Altern Med, 1(1), 6. Chakraborty, K., Neogi, R., & Basu, D. (2011). Club drugs: review of the'rave'with a note of concern for the Indian scenario. Indian Journal of Medical Research, 133(6), 594.
van Engelen, L. B. (2013). Risk assessment of MDMA (Master's thesis). Hutson, D., & Cupp, M. J. (2000). Sassafras. Toxicology and Clinical Pharmacology of Herbal Products, 245-252. Merigian, K. S. (1991). DepartmentBook review-Annals of Emergency Medicine-Volume 20, Issue 8-Clinical Management of Poisoning and Drug Overdose, ed 2, LM Haddad, JF Winchester (Eds.). WB Saunders Co, Philadelphia (1990). Annals of Emergency Medicine, 20(8), 939-940.